Once again we bring you the Costco December 2018 Coupon Book in advance for you to take an early look at. As we mentioned in the upcoming preview posts we do, the dates of the December 2018 coupons are November 27th through December 24th. When you click the link above it will take you right to the pages so you can view the coupons and enlarge them if you’d like. One interesting thing is that the December 2018 coupon book ends on Christmas Eve, which is a Monday, and the January 2019 coupon book starts on January 2nd. Also don’t forget about the upcoming Christmas Holiday Handout which will run from December 14th through the 24th. This is a rather large coupon book at 27 pages. If you want to get an email as soon as we post the coupon book you can sign up for our email list, Like us on Facebook or Instagram! The December 2018 Costco Coupon Book definitely has some quality deals. Our top pick would definitely have to be the Ecobee 3 Lite Smart Thermostat with two room sensors for $139.99 after $30 off. We have one and absolutely love it. What makes it an even better deal is that your utility company will likely give you a large rebate (up to $110 off!) for buying one, making it very inexpensive. We’d also say there is a lot of clothing sales this month. For the second month in a row the Costco tire coupon is Bridgestone at $70 off. 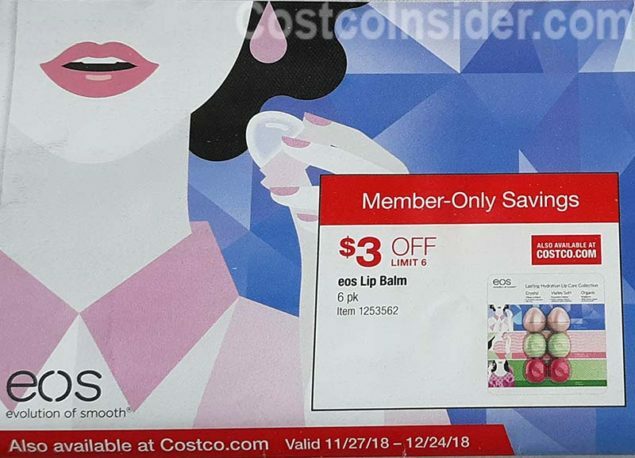 In order to reveal the coupon pages you must be on the Costco December 2018 Coupon Book page and then click the link in the first sentence. Leave a comment letting everyone know what you think the best deal in the coupon book is!